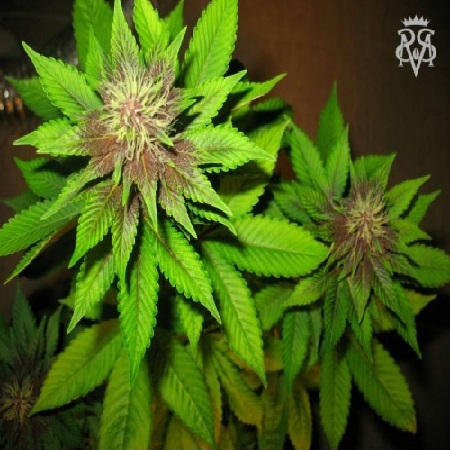 Bizarre Feminized Cannabis Seeds by SickMeds Seeds: This strain's origins are from a cross called ""Boognish Rising"" which is a cross of the famous Heath Robinson's Black Rose and Outlaw's Double Purple Doja. SickMeds have been doing some test growing and, with permission from the original breeder, they have decided to continue their purple journey. SickMeds have backcrossed it to their cut of Black Rose F9, and after running few test grows, they have crossed Boognish Rising BX with their ""pinkeye"" phenotype of Double Sour Diesel to add a strong influence of that beloved diesel taste. This dominant Indica strain, will grow very well both indoors & outdoors. It responds well to topping and will quickly shoot up once it starts blooming. If not topped in its early stages, and if grown outdoors, she will stretch up to 3 times. 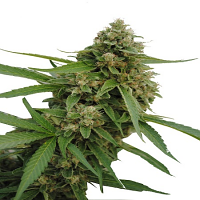 Plants are normally ready for cropping in 50 to 55 days and it is an easy girl to grow. Yield averages from 400 to 450g per square meter and she does not require a lot of feeding. Bizarre has several phenotypes ranging from Rotten Berry smells, Citrus Diesel and Spice smells all of most are purple. Envelope your whole self in the blissful aroma of this sweet and spicy bud while experiencing complete euphoria and joy. Happy purple days free of pain and nausea! A connoisseur’s delight and a must for all lovers of purple buds!